Perhaps it is you yourself who has reached the 29th year of marriage, or perhaps it is your friends or family members who are preparing to celebrate this anniversary year. Either way, it may seem like the 29th anniversary may not be worthy of a big celebration or party as you may think that you should hold off for the following year when the huge milestone of the 30th year of marriage will come around. However, 29 years of marriage is still a milestone in its own right. Almost three decades of marriage should be celebrated, and loved ones can take the opportunity of using the anniversary occasion to reinforce their sentiments of love and appreciation for the happy couple. Giving gifts is part of any anniversary celebration, and whether they are expensive or cheap and cheerful matters less than their significance and meaning. Choosing a present that is heartfelt and touches the recipients is the most importance aspect of gift giving at this key occasion, and you may want to find out more about the traditional themes linked with every anniversary year in order to choose something that will be not only appropriate but greatly appreciated. 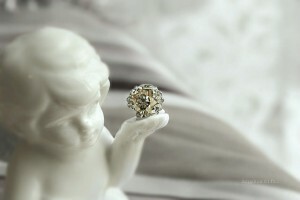 Following the huge milestone of the 25th wedding anniversary, famously linked with the precious metal silver, there is not another traditional milestone year until the 30th anniversary, as in the original 1937 list only every 5th anniversary after two decades of marriage is linked with a specific material. That means that 29 years of marriage has no traditional theme associated with it, however there is a more modern theme which has featured in the contemporary list of anniversary years for modern couples, and that is furniture. This leaves lots of ideas open for you to choose from if you are wanting to select a themed gift for your loved ones on the occasion of their 29th wedding anniversary. Furnishings for the home can be a matter of personal taste, so you may find it hard to choose furniture as 29 year anniversary gift ideas. One of the possibilities, to prevent making a mistake and choosing something that would not match the couple’s sense of style, is to present the happy pair with a gift voucher for a furniture store near their home. That way, they can choose something that they really need, or something that would blend perfectly with their décor. If you know the sort of style that your loved ones prefer, feel free to select something that will complement their existing décor. If you are aware that there is something that they are lacking that they have always wanted, this could be the ideal time to splash out on that item that they have been longing for. One possibility is to choose something decorative to adorn the couple’s home. Home décor items are always popular and will last for a lifetime as an enduring reminder of this happy event. Personalized items always go down well, and add an extra personal touch to the day. Bespoke gifts always show a deeper level of thought and will touch the recipients much more than any generic gift. Unique gifts are a special way to reveal a message of esteem to your loved ones, and decorative home items that have been handmade are one way to express an individual message of personal sentiment. A gift liked a glazed, silver-dipped or 24 karat gold-dipped rose would be a wonderful way to celebrate the occasion of the 29 year anniversary. As each item is made by hand from an individually picked rose at the height of its natural beauty, it is entirely unique and is a special work of art that is sure to be cherished and displayed as a lasting testament to 29 years of love. If the celebrating couple enjoy the outdoors and have a garden, outdoor furniture could be a great choice of gift on the occasion of their 29th anniversary. From garden benches to a BBQ to a beautiful water feature or even a stylish free standing gazebo for al fresco dining with all the extended family during the warmer months, your loved ones will really appreciate such a thoughtful gift. If you are looking for a 29 year anniversary gift for him, you may want to buy him an item of furniture that he has always wanted. Which man wouldn’t love to have a reclining armchair for his man cave, a gaming chair to relax in while playing on his games console or a mini fridge for by his bedside? Although furniture doesn’t necessarily lend itself to simple ideas for 29 year anniversary gifts for her, you could always extend your theme to include decorative items for the bedroom or other room of the home. A stylish ottoman would be a good idea for her to store her odds and ends, or perhaps all those handbags. A pretty mirror for her dressing table would always be appreciated, or perhaps a useful extending shoe rack that she can make good use of, providing a handy storage space for all of her hundreds of pairs of shoes!